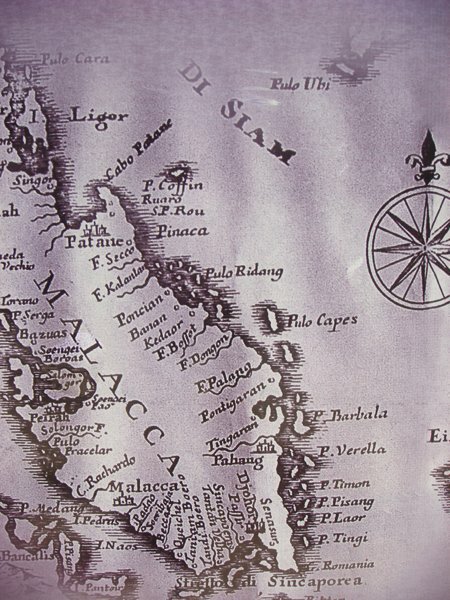 In August 1511, a portuguese force of about 1200 men on more then a dozen ships set sail to and conquered Malacca. The Sultan of Malacca fled; but keep harassing the invaders for about 15 years, by attacks from both land and sea. About 150 years later, the Dutch defeated the Portuguese with the help of the Sultan of Johore. Finally, Malacca was ceded to the British in 1824 and became part of Malaysia after the Second World war when they in turn packed their bags. 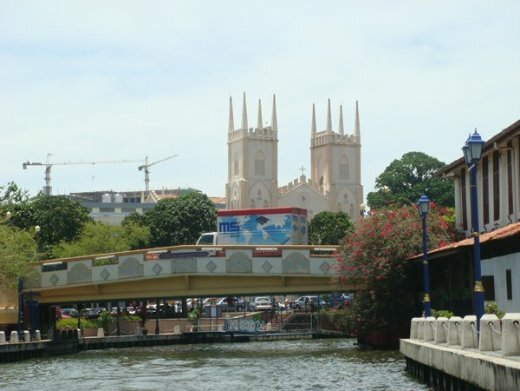 About 500 years later, travel to Malacca is much less trouble: the return ticket for the Singapore-Malacca express bus is cheaper then a taxi trip to Changi airport. Only four driving hours away, one can easily get there on a Friday evening and return on Sunday, making it the perfect weekend trip. That is, if there is no traffic jam on Sunday night, with a 99% chance that there is one. 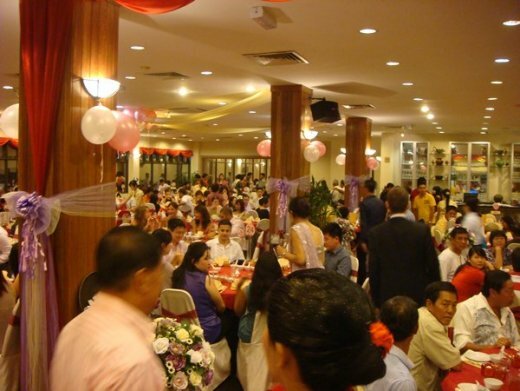 Beside this, we had a mission in Melacca: to join our friends in a huge Chinese-French wedding and settle the former conquest hostilities in a more friendly way around the wedding banquet tables. Out of the many Malaysian destinations, Malacca is one of my preferred, since the first visit two or three years ago. The place is so different from say Kota Kinabalu; or other popular Malaysian tourist places; where the famous "taxi driver" and other rip-offs folks are lurking behind every corner, in a quest to figure the maximum amount they can overcharge you for providing non-existent services. The whole town seems actually to be run by Chinese rather then Malay: you can hear Hokkien spoken and see signboards in Chinese everywhere. The strategy here seems to be growth instead of cash-in : the taxi driver gave us a reasonable price while driving from the bus terminal to the hotel; drove us really there; gave useful recommendations on the way and did not try to engage in further business as it happens so many times. Since my last visit the town showed even a nicer appearance than last time. 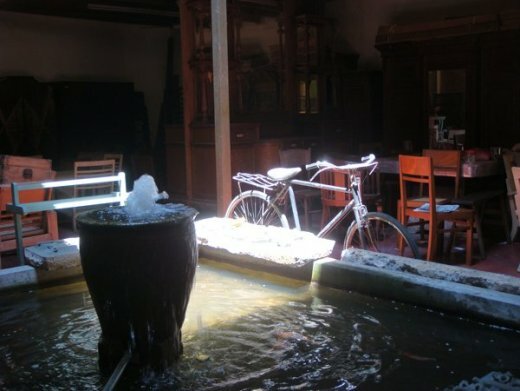 Many places and buildings from the colonial time are preserved as much as they could be: the old Portuguese and Dutch churches, the remains of the fortress, and the general ambience of the town. Along the river you may believe you find yourself in the Mediterranean. At the same time, the red lamps lit in the evening along the Chinese shophouses in Jonker street for sure are very Asian. Wandering around, especially in the evening, indeed brings back a glimpse of the faded history : as if you were lost in the 16th and the 17th century, when Melacca was an important trading port where Chinese, Malay, Europeans, Arabs and Indians did their commerce and trading. They are all still here, just wearing shorts and base-caps nowadays. No wonder the city center has been declared World Heritage Site since 2008. 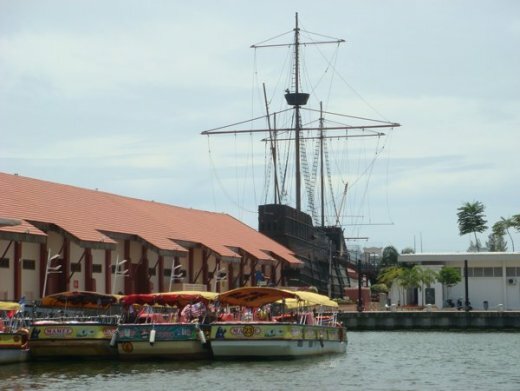 The Maritime museum can be visited inside an original size replica of the "Flor de la Mar"; a portuguese nao which sank loaded with treasures in the Straits of Malacca and has until now not been recovered. The fusion of the local and foreign cultures also led to a unique culture heritage preserved until today. 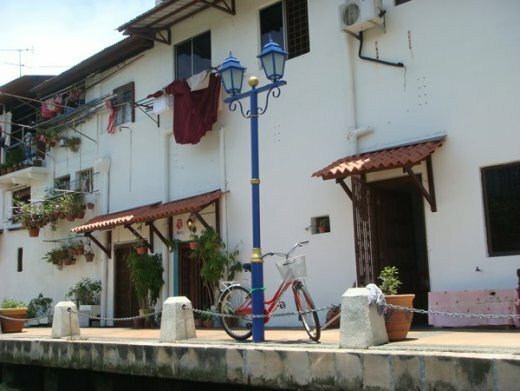 Malacca has a portuguese settlement, the Kristang, which are portuguese and malay descendants. 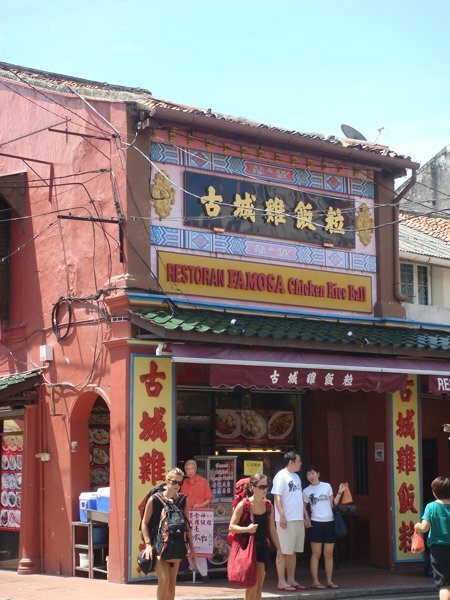 The Baba-Nyonya cuisine is a fusion of Chinese, Portuguese, Dutch, Indian, British and Malay and shows on display so different dishes as Portuguese egg tarts or chicken rice balls. Try some dishes at your own risk; rule number 1 : wherever chili can be added, it will be added. 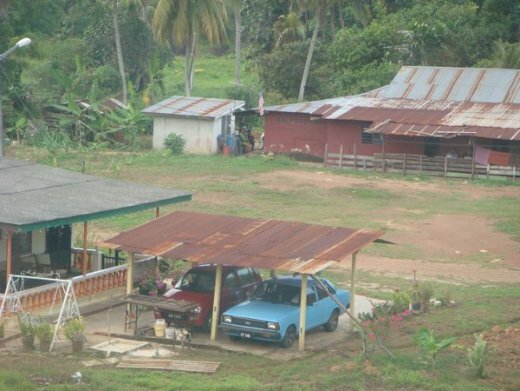 Our wedding reception was some 20km out of town, and the countryside looks pretty much like in other places in Malaysia. Everything would have been fine if the driver would have known where exactly he is driving the old school bus full of (mostly) stylish wedding guests. So we missed the first cocktails but had in exchange some prime entertainment driving through narrow streets in villages an testing the driver’s/bus’ U-turn capabilities at the most impossible places. The wedding banquet was impressive with more then 500 guests, I am sure most of them did not even remotely knew bride and groom: in fact; as it is custom here; the bulk were business partners invited by the family to participate at the happy event. I multiplied the number of guests by the estimates price of the banquet menu and wondered how much is actually left in the bank account to continue the family business after this night. Fortunately, at the beginning of the banquet, every guest drops a "hong bao" (red packet) into a carton, with a cash contribution to the festivities. As always in Asia, the wedding dinner ended rather abruptly at 11pm and the bulk of the guests vanished well-fed and entertained in the night. The next morning however, the festivities resumed at 8am in the morning with the tea ceremony (beer was server from 8.05), this time in a closer circle, at the bride’s house. On the next morning, on the way to this ceremony no.2, we passed by an enormous cementery. 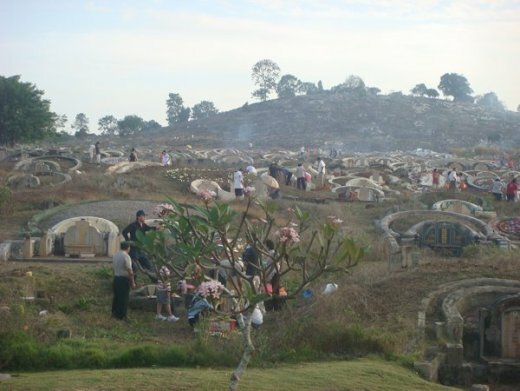 Despite the early morning hour, there were already a lot of people busily maintaining the graves and burning fires, presumably tossing paper-money, paper-mercedes, paper-villas and paper-ipads into the flames. 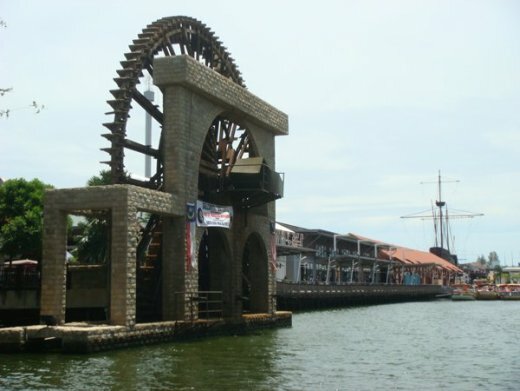 Before leaving, it is good to mention that Melacca is certainly a haven for shoppers: antique and modern, the old shophouses have almost everything to empty your wallet and fill the heart of the shopowner with you. Decidedly, it is still a great cross-roads for trade, commerce and having a good time.